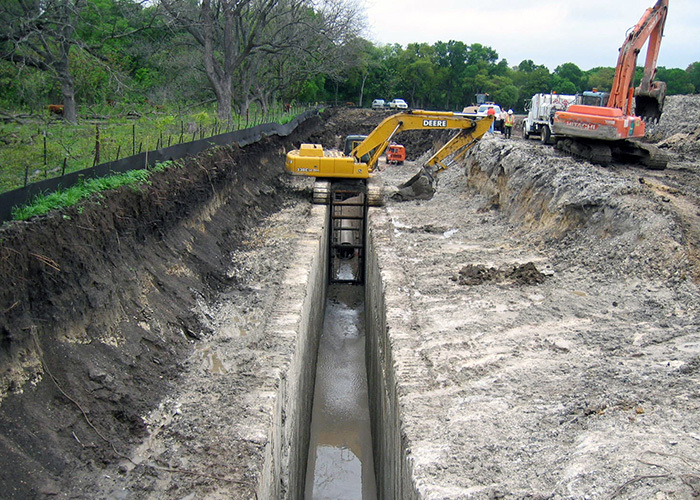 The city of Round Rock needed a large capacity wastewater interceptor to serve future development in the McNutt Creek drainage basin. This project consisted of the design and construction of over 9,000 linear feet of a 48-inch diameter wastewater interceptor installed by tunnel excavation. The project included crossing State Highway 79, the Union Pacific Railroad and Chandler Creek, as well as a new lift station at the Brushy Creek Regional Wastewater Treatment Plant to pump the effluent to the headworks of the WWTP. KFA provided design, permitting, bid phase, and construction administration services for the McNutt Creek Wastewater Interceptor – Phase 1. 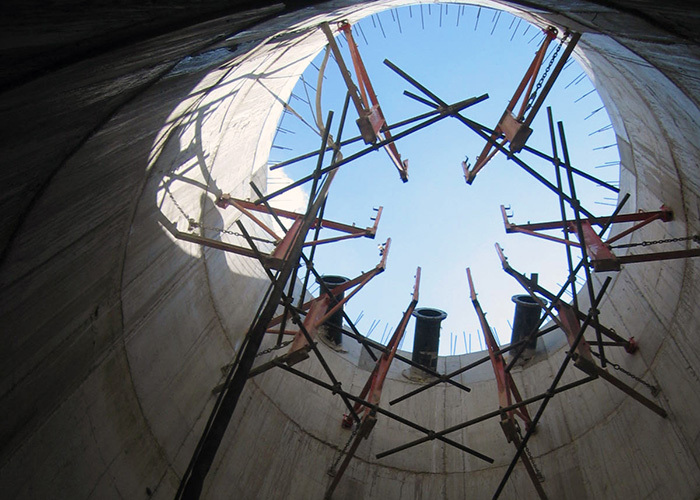 The KFA team performed the preliminary engineering phase and determined that open-cut construction of the interceptor with a lift station at the Brushy Creek Regional Wastewater Treatment Plant (BCRWWTP) would be the most cost-effective method of building this project. However, due to a need to accelerate the construction schedule, combined with the tremendous depths involved along portions of the alignment, it was decided to install the interceptor using tunnel installation following the preliminary engineering phase. KFA worked closely with a tunnel engineering firm to design the tunneling elements of the project. The design of a new 5 MGD lift station at the downstream end of the pipeline was required to pump flows up to the headworks of the WWTP. KFA utilized the primary tunnel shaft as the wet well for this lift station which resulted in cost and time savings to the project. At the conclusion of the design phase, KFA consulted with several tunneling contractors to determine constructability and efficiency of the final design. 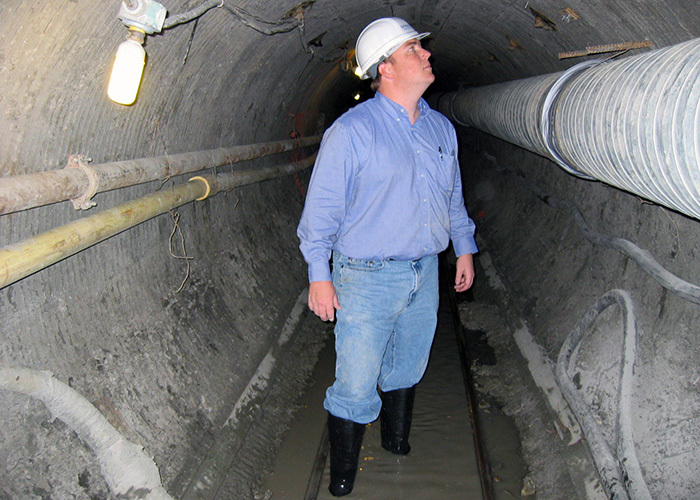 KFA utilized the input gained from the review to optimize cost efficiency, locate tunnel shafts, determine construction duration, and to minimize construction change orders. Environmental impact mitigation and minimizing the disruptions to property owners were of primary importance during design. KFA also provided bid phase and construction administration services. The project was completed ahead of schedule and under budget. Construction change orders totaled less than 0.5% of the originally bid project price. 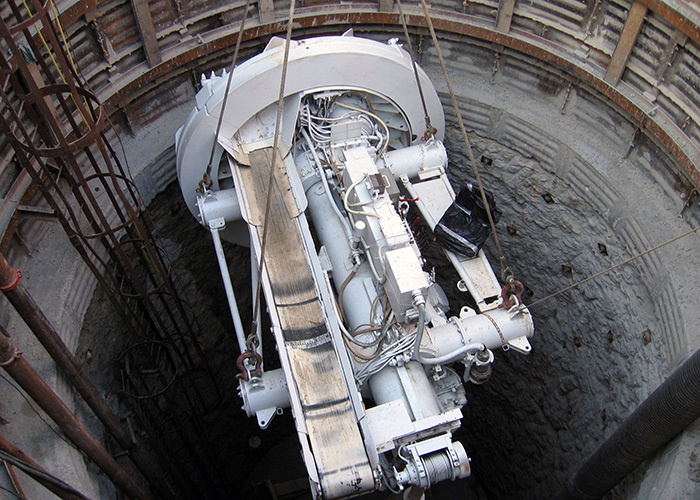 During the preliminary engineering phase, KFA recommended installing the pipeline via tunnel boring machine, which served to accelerate the construction schedule and eliminate the massive open cut excavations and associated disruption to the community. This large project had change orders that totaled less than 0.5% of the original construction contract amount. A large capacity wastewater interceptor was needed to serve future development in the McNutt Creek drainage basin. Due to excessive depths and a need to accelerate the construction schedule, an interceptor was installed using tunnel installation following the preliminary engineering phase. 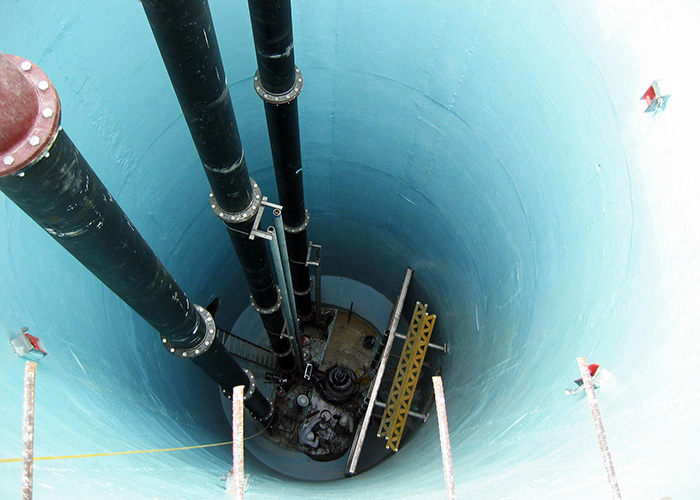 The project also included the design of a 5 MGD submersible lift station.